The men behind MacGuffin Pictures, #HoneyTrehan and #AbhishekChaubey, earned their stripes as producers with #ADeathintheGunj, which garnered much critical acclaim and went on to earn 3 Filmfare awards. Colosceum have been leaders in the non-scripted genre with shows like Splitsvilla, Roadies and MasterChef, to name a few. They recently forayed into the fiction space with the short film 'Juice', which was extremely well-received and went on to win 2 Filmfare awards. For this venture, MacGuffin Pictures and Colosceum will be jointly selecting the scripts, with a focus on great storytelling. Honey Trehan says, "We are very excited about this collaboration and we welcome filmmakers to tell their stories with us. And we are delighted to have partners who are equally committed to and excited about the project." 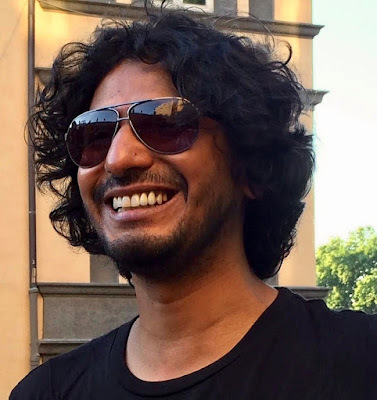 His partner and filmmaker Abhishek Chaubey says, "It is heartening to see that the short fiction format is finding an audience. We, as a young company, are excited about this trend and are looking forward to creating new content for a growing audience." Lalit Sharma, CEO, Colosceum says, "The short film 'Juice' was our first step into the storytelling format. It is our belief that with the declining attention spans and time constraints of the audiences, shorts are the future. The challenge is to make a film that connects emotionally in half an hour."